When you raise funds while raising spirits everyone has a good time. 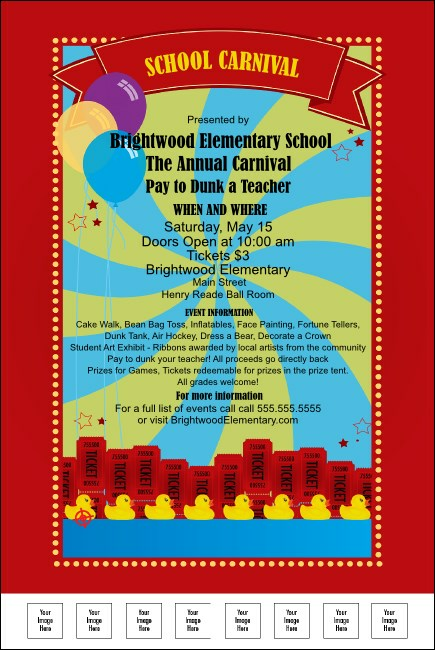 For a day of games and special events the School Carnival Poster is the perfect promotional material. Each is printed with the images of a shooting gallery, admission tickets and party balloons on a colorful background. Upload six images to the template and share your performers and sponsors with others. Get into the game with TicketPrinting.com.